Filter Housing, JNP MANniu Water Tec Ltd.
MANniu Filter Housing specializes in making a wide range of containers and anti-freeze/anti-burst filter housing. With over 30 years of industry experience, we also supply filter housings for major domestic and international brands. Our latest anti-freeze/anti-burst Big Blue filter housing meets the highest industry standards and withstands burst pressure up to 500 psi (35 kgs) and temperature down to mius 20°C. The housing is now combined with a Japanese composite carbon fiber filter, to provide effective household water purification as well as commercial applications. 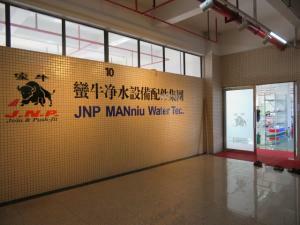 Quick Fittings, JNP MANniu Water Tec Ltd.
MANniu Quick Fittings is located in Humen Town, Dongguan City. 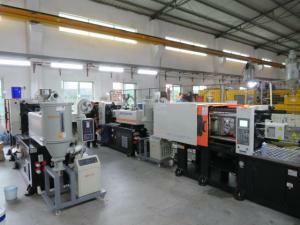 All the molds are developed in-house, and the quick fittings are 100% tested. JNP quick fittings are widely used in potable water applications. Made of food-grade PP material, the products are non-toxic, odor-free, pliable and resistant to acid/alkali JNP MANniu is the first and only professional manufacturer in China that provides both food-grade PP quick fittings and antibacterial precision tubing. 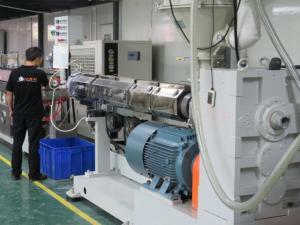 Precision Tubing, JNP MANniu Water Tec Ltd.
JNP MANniu offers Precision Tubing, not merely tubes! There are numerous choices of water pipes on the market, but quality varies greatly. Pipes of better quality are called tubing, and only those with a certain degree of precision can be called precision tubing. MANniu precision tubing is manufactured with proprietary machinery and proven technology, to ensure no leakage, precision roundness, high resistance to aging and burst pressure, uniform thickness and smooth surface. The latest precision tubing further combines zinc oxide technology for improved antibacterial effect and environment friendliness. 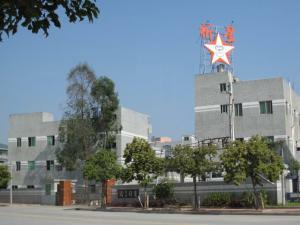 MANniu is the only precision tubing manufacturer in China that adds antibacterial formula in the ingredient structure.